Spirulina is an excellent way to support healthy fertility and pregnancy through its superior nutritional content. Spirulina is a cyanobacterium, that is commonly referred to as blue-green algae. The protein in spirulina is considered to be of the highest quality protein, superior to all other plant proteins, including those in the legume family (beans, peas, soy, etc.). It is also an excellent source of vitamins and minerals. Because spirulina is an exceptionally nutritive plant food source, it has been shown to be excellent for supporting healthy fertility and pregnancy. Several studies on mice have shown no adverse effects on pregnant mice who were fed spirulina daily at a weight-appropriate dosage (Journal of Ethnopharmacology). Excessive dosage of spirulina was shown to have some adverse effects to both the mice mothers and pups. This study makes a good point; it is important to use spirulina as a food, not in high doses. More does not equal better results! Spirulina is one of the most asked about nutritional food supplements today (SELF Nutrition Data). Spirulina is part of our Fertilica FertiliGreens product. FertiliGreens combines a variety of green foods and herbal tonics specifically formulated to help boost nutrition levels in couples preparing for pregnancy. Should a woman wish to continue supplementing with a green foods supplement like FertiliGreens, we suggest transitioning to an organic pure spirulina powder. This is because FertiliGreens contains some herbs not meant to be continued into pregnancy. This green super food is a complete protein source, as it contains all the amino acids necessary to qualify as a complete protein source. Protein content is 50-70% of its total dry weight. There is a variation in percentage of protein content dependent on time of harvest in relation to daylight. It contains the most protein when harvested in the early daylight (interesting!). 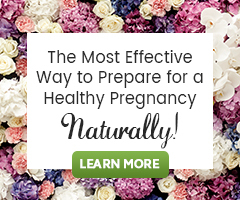 As we all know a whole food diet is essential to healthy fertility. Spirulina provides a wide variety of vitamins and minerals, all of which are easily utilized by the body. Spirulina is an easy way to boost your nutritional intake daily! Vitamins: A, D, E, K, Thiamin, Riboflavin, Niacin, B6, B12, Folate and Pantothenic Acid. Minerals: Potassium, calcium, zinc, magnesium, manganese, selenium, iron, copper, and phosphorus. Because spirulina grows in fresh water, rather than salt water like seaweed, it contains a relatively low amount of sodium. Many of the vitamins and minerals in spirulina are antioxidants, which have been shown to protect the body from free radical damage. Oxidative damage due to free radicals has been shown to contribute to fertility issues such as luteal phase defect, poor egg and sperm health, as well as lowered overall immunity and health. Researchers at Oasis of Hope Hospital in Tijuana, Mexico, suggest that spirulina may be helpful in treating women with preeclampsia or preventing it from happening at all. This may be due to its superior nutritional content, but researchers suggest it for another reason. Numerous studies have shown that preeclampsia is associated with increased oxidative stress in both the placenta and vascular system of the mother (Current Pharmaceutical Design). NADPH oxidase has been shown to be the number one source for oxidant stress associated with preeclampsia. Phycocyanobilin (PCB) contained in spirulina has been shown to inhibit NADPH. This may help to protect mother and child from preeclampsia. One leading cause of preeclampsia is poor nutrition according the the Preeclpampsia Foundation. Spirulina contains essential fatty acids in the form of linolenic acid, linoleic acid and arachidonic acid. These essential fatty acids aid in prostaglandin function necessary for hormonal balance and blood pressure regulation (also important for pregnancy). Spirulina only contains about 10-15% carbohydrate content. Spirulina consumption does not alter insulin levels, which makes it safe for those with PCOS, or diabetes-related infertility. Spirulina naturally grows in alkaline lake water in warm regions. It is now farmed in controlled environments as well. Spirulina is tiny, measuring only 0.1mm across. Its rapid growth makes it a sustainable food crop. Because spirulina grows in such harsh conditions, it has been shown to be a very clean food source. There are no official recommended daily guidelines for spirulina, but a general consensus is that 3000mg a day is safe. There are many spirulina products on the market, so do your research to choose a brand that best fits your needs. Spirulina comes in tablets, capsules or loose powder. The loose powder is excellent in Fertility Smoothies. Spirulina is a key ingredient in our Fertilica FertiliGreens! It is always best to follow the suggested use guidelines on the product label that you choose. Always let your health care provider know what nutritional supplements you are taking, as they may be able to suggest an amount to take based on your personal needs. If you’re pregnant, it is very important you let your doctor know you wish to take spirulina or are taking it. Never exceed suggested dosage for the product you are taking. Remember that Fertilica FertiliGreens is not suggested for use in pregnancy, so switching to a pure spirulina supplement is suggested if you wish to use a greens supplement into pregnancy. do you have any herbal ideas for treatment of en-larged prostrate (men’s issues)? Spirulina has a long history and documented record of human consumption, and as a result of the extensive study of it, it is known by prominent researchers to be safe and nutritious. Spirulina has been marketed to and determined safe for human consumption as food. Spirulina studies have not revealed specific body or organ toxicity, or genotoxicity and proven that ingesting very high levels of Spirulina during pregnancy does not cause fetal abnormalities or birth defects. That said, as with several supplements and foods determined to be safe, it is true that there are rare cases of side-effects in humans that have been reported. For people suffering from bleeding disorders, special care needs to be taken to not over-consume dark green leafy vegetables and we would not promote the use of Spirulina for these patients without guidance. I have not heard of Spirulina causing a bleeding disorder, or causing Phenylketonuria. All that said if you have or are concerned about Phenylketonuria, please consult your healthcare provider before consuming spirulina. It is not a required food and if consuming it worries you, that may outweigh the benefit. My midwife said this is a no-go and referenced Dr. Andrew Weil’s new article Is Spirulina Safe. There are so many schools of thought and sources of information. If truly can make knowing what to trust hard. I understand that. This is going to be a longer reply than normal, yet I feel it very warranted here to help clarify that we know organic spirulina to be safe. I am not a practicing medical doctor who has documented case histories of adverse events from taking Spirulina in supplement form. I guestion if Dr. Weil does. I have, however, read research on Spirulina powder, as well as worked with clients who have used it prior to and in pregnancy. I simply am not finding any research, nor have we experienced with our clients, that there is any concern about consuming Spirulina preconception or in pregnancy. There are a large number of Spirulina species, including, yet not limited to Spirulina platensis (Arthrospira platensis), Spirulina maxima (Arthrospira maxima), and Spirulina fusiformis (Arthrospira fusiformis). We understand that identification and source are important. Quality control in the growth and processing of Spirulina in order to avoid contamination is mandatory to guarantee the safety of Spirulina products. Spirulina studies in which the outcome is not forced have not revealed specific body or organ toxicity, or genotoxicity and proven that ingesting very high levels of Spirulina during pregnancy does not cause fetal abnormalities or birth defects. That said, as with several supplements and foods determined to be safe, it is true that there are rare cases of side-effects in humans that have been reported. For people suffering from bleeding disorders or thyroid health issues, special care needs to be taken to not over-consume dark green leafy vegetables and we would not promote the use of Spirulina for these patients without guidance. I have not heard of Spirulina causing a bleeding disorder. I welcome the opportunity to learn more on this subject, however, from my research I am not finding anything to indicate that we are misinforming our readers or improperly suggesting a very common, foundational product to support fertility or pregnancy health. I hope this is helpful as you choose what is best for your needs! Take care! Organic Spirulina is a wonderful source of plant protein, antioxidants, B-vitamins and many other nutrients in pregnancy. It is always best to purchase certified organic Spirulina. I am not sure what the sources you refer to are, but it is my understanding that it is Chlorella that is used more for detoxifying from heavy metals and not intended for use in pregnancy. Is spirulina all right to take if you have endometriosis ? As it contains the fatty acid arachidonic acid, which makes bad prostaglandins that affect endometriosis ? Arachidonic acid is an nutritious omega-6 polyunsaturated fatty acid that the body actually requires to function properly. We all need a healthy balance of omega 3s, 6s, and 9s. When these EFAs are in a healthy balance the body i not likely to overproduce prostaglandins or be plagued by inflammation. ARA from Spirulina is one of the healthiest forms of omega-6 EFA. Spirulina has superior, organic nutritional properties – in addition to containing polyunsaturated fats, it is rich in high-quality protein and antioxidants. So, in short I do think it is fine to consume if you have endometriosis. 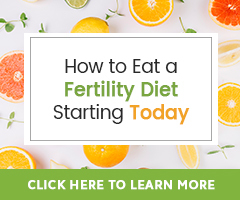 It may actually be helpful in addition to a whole food Fertility Diet, with limited consumption of red meat, dairy and gluten. Thank you for your reply Elizabeth. It has been very helpful. Hi there, I would like to know if spirulina helps with ovarian cyst. People been asking me to take spirulina. But I couldnt find online that says that spirulina helps with the cyst. How many flat tsps would 3000mg of spirulina be? This would depend on the Spirulina product purchased. In general it is best to follow the suggested use of the product purchased. Congratulations on your pregnancy! Spirulina powder is excellent in any Pregnancy Smoothie or Fertility Smoothie (minus a greens and Maca powder, and bee products). A pure spirulina supplement is suggested into pregnancy. Breastfeeding woman can take spirulina capsules. Spirulina is fine to consume in moderation while breastfeeding to my knowledge. I read that Spirulina may contain mercury. The article recommends acquiring from a reputable source, but how can I be sure of that what’ve purchased is from a reputable source? Can you make some recommendations? I have placenta previa and would like to keep my iron count up, given the added hemorrhage risk with this condition. Congratulations on your pregnancy! I hope that it is going well aside from having placenta previa! Reputable sources are often Certified Organic, meet QAI standards, or are GMP certified. Each of these standards in general protects the consumer from purchasing a product which is not effective or even dangerous, and assures the identity, strength, quality and purity of the product. Do some searching for the logos for each certification to see how companies mark the product labels if you are not familiar already. All of the supplements we offer are cGMP per FDA regulations and Organic Spirulina can be found in the Natural Fertility Shop. You may already know these, but there are several food sources of iron – beets, spinach, beans, lean animal meats, pumpkin seeds, molasses and asparagus – which can all be consumed in pregnancy. Make sure to also include foods that help with the absorption of iron like oranges, strawberries, broccoli, tomatoes and green peppers. How concerned do you think we should be about Fukishima and trace elements of radiation in the Pacific Ocean? I know that sounds crazy but I have a friend who no longer takes spirulina because of this. Thanks! Good question. To tell you the truth, there are probably many places spirulina is harvested or farmed, and I would guess it would be of most concern to locate a source that is not directly in the line of the spread of the Fukushima radiation leak going into the ocean. I am not sure the actual scientific showing of the impact of the Fukushima fall out on our food sources of any kind, though I have read some articles on concerns of this, I am not 100% sure any of them are true. The brand of spirulina we sell come from organic farms, cultivated in ponds, not in the ocean. I think that if we constantly fear this issue, we may never eat anything, since much of our quality foods come from the West Coast of the United States. We do face a time of concern of human-made pollution in our food sources and all we can do is make the best possible choices, based on our own research of a product we wish to purchase. I assure you our spirulina containing products have very, very strict standards for quality. Has spirulina been contaminated by Fukushima? Have we? Have our other foods sources? Probably at some level, but to which level, I am not sure. Spriulina is a nutrient dense food, there is no question about that. Choose organic, ethically farmed spirulina!